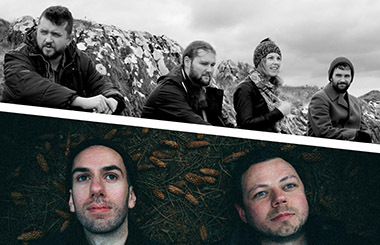 Homebeat are delighted to present an evening of considered electronic folk from two label mates from their Homebeat Presents… imprint amongst the famous walls of Whelan’s (upstairs) on Friday June 15th. A charming and arresting mix of classic songwriting, harmonies and carefully arranged electronica. Melding a love for found sound based organic electronic atmospherics and the soaring vocals of Aaron Page, Carriages combine warmth and soul in one gorgeous package.